"Donations such as the Microsoft software and licenses we received through DonorTec help us to keep operational costs to a minimum, which allows us to direct more funding into our services." Established in 1960, Guide Dogs Queensland (GDQ) helps to equip, empower, and educate Queenslanders of all ages who are blind or vision impaired. Thousands of Queenslanders with little or no vision turn to Guide Dogs Queensland for help each year. GDQ is known for its specialty breeding and training of quality guide dogs. Dogs are holistically trained, meaning that they learn through a positive rewards-based process. After training, guide dogs are able to respond to handler instructions, locate safe road crossing points, stop at curbs, cross roads carefully, avoid obstacles, and locate objects and destinations for their humans. Each dog usually works for 8 to 10 years before being retired. At retirement, they either stay with their master or are placed in a suitable new home. 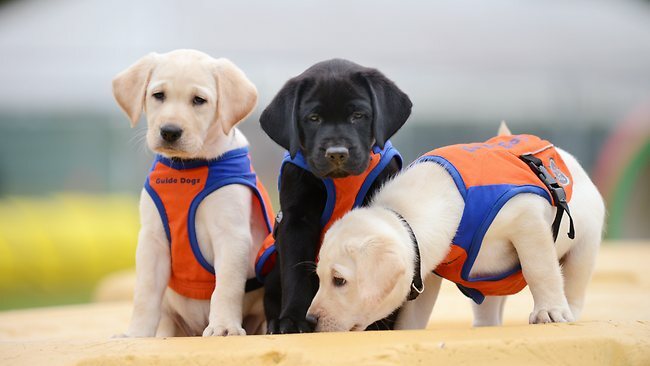 Guide Dogs Queensland also offers the blind and vision impaired a wide range of rehabilitation services. It provides white cane training, which teaches the blind to walk with the aid of only a cane, electronic travel aid training, community and professional education workshops, special mobility programs for children, and counseling. As a nonprofit organization, the majority of GDQ's services are funded and sustained by donations, community support, corporate sponsorship, and grants. GDQ has received a number of Microsoft software packages through Connecting Up Australia, TechSoup's global partner in Australia, and its DonorTec program. The donations have improved the efficiency of GDQ's operations and given clients access through a workstation at GDQ headquarters.